Photos by Yuri Suzuki - click to scroll. The Vancouver Thunderbirds started off the 2017 indoor track and field season with a bang on Saturday, February 4th, winning the overall club title at the Harry Jerome Indoor Games in Richmond, BC. Highlight performances came from senior Thunderbird athletes Stephen Abosi and Jonelle Bell-Spence, both coached by Laurier Primeau. Abosi broke the meet record in the 60 meters and walked away with the most outstanding senior male athlete of the meet, while Bell-Spence took gold in the women’s 60, also earning outstanding athlete recognition. Colleen Ogilvie, competing in her first competition ever after moving from high performance volleyball to pursue high jump, placed 4th in the senior women’s high-jump. We look forward to continued progress from each of these three given that it’s so early in the season. Jonelle and Stephen will compete next weekend in Seattle before the focus switches to the outdoor season. Other club members who compete for UBC during the collegiate season before switching to the Thunderbirds were Kenneth Schultze (5th in the 60 hurdles), Michael Aono (2nd in the 60 meters) and Emily Russell (8th in the 60 meters). "The TBird JD’s had fun and performed well at the Harry Jerome Indoor Games at the Richmond Olympic Oval" claims head coach, Graeme Fell. Matthew Uliana came away with a PB of 9.93m and Madeline Britnell finished 2nd with a throw of 5.99m. In the 600 Meter Run Maya Baechler (1:46.26), Sophie Forsyth (1:51.35), Michael Caddick (2:02.89) and Kai Martland (1:55.72) all had impressive wins. Gabriella Barton (2:02.71), Libby Dabbs (2:02.93), Jacob Leader (2:03.99), Clarence Cheung (1:53.45) all picked up second place finishes in their races, and Coco Clement (2:06.16), Chloe Van Schalkwyk (2:03.78) Griffin Cole (2:08.36), and Adam Rentz (1:54.41 2) all picked up bronze medals for their efforts. Ruby Forsyth (2:06.61) and Anna Kruk (2:12.33) also had strong runs. In the 4x200 Meter Relay TBirds notched 5 first places and one 2nd place. Loren Eisses and Chloe Van Schalkwyk both ran to wins in the 60m in times of 8.49 and 9.68 respectively, with Katie Evans (9.05), Madeleine Yee (9.22), and Caroline Ho (9.53) finishing 2nd, 3rd and 4th. Clarence Cheung (9.15) for 4th place, Mica Grusko (9.52) for 6th, and Brayden Horlock (9.84) for 8th all ran well. Carl Lemer finished 3rd in 8.77, while Ella Gladders (10.54) and Nyla Tukker (10.09) finished 5th and Hannah Olund (11.26) and Myah Olund (10.32) finished 7th. A huge congratulations to all who competed this past weekend! 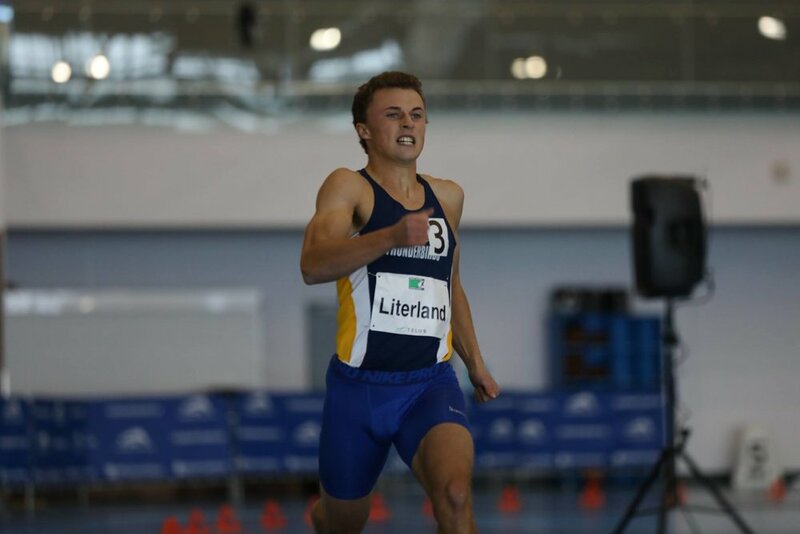 The Thunderbirds look to carry this momentum into upcoming indoor competitions, before switching focus to the outdoor 2017 track and field season.